That is right, in the past few days we are experiencing a weather temperature of 40F to 50F. It is not as warmer was spring is but at least we can see the Sun Shine outside and no more snows. 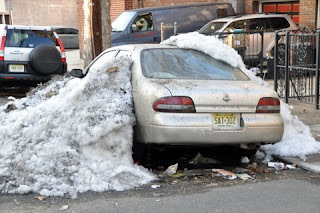 Due to that temperature it starts to melt some of the snows around the area. It will be more dangerous for the drivers because the road will be too slippery due to the melt ice. So they should be very careful when driving. If this kind of weather temperature will last until weekend. We surely have a great weekend breaks for snows at least. Or at least for awhile since it is not officially spring season. Our world had really changed. Our normal weathers turned out worse.